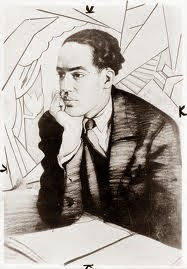 "Let America Be America Again" by Langston Hughes was offered by Poets.org's Poem-A-Day on January 20, 2014. A link to the poem may be found here: http://www.poets.org/viewmedia.php/prmMID/15609. According to Wikipedia http://en.wikipedia.org/wiki/Let_America_be_America_Again, "Let America Be America Again" was composed in 1935 and published in Esquire Magazine in 1936. It is interesting and sad to note how the message of the poem still resonates today, almost eighty years later.